IBIS is proud to introduce its new Triangle software package. – Easy set-up of your measurement. – Intuitive operation of the MX96. 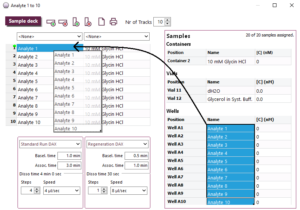 – Faster processing and analysis of your SPR data. – All operating under Windows 10. Allows you to set up an experiment at your desk. 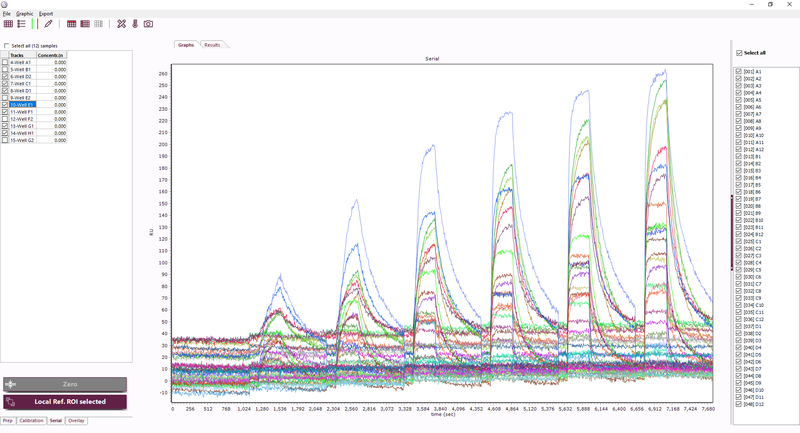 Include measurement type (kinetics, kinetic titration, epitope binning), interaction times and sensor array layout. Plan your experiment in no time. An improved Graphical User Interface allows faster and more intuitive operation of your MX96. ROI’s can easily be allocated to array spots. 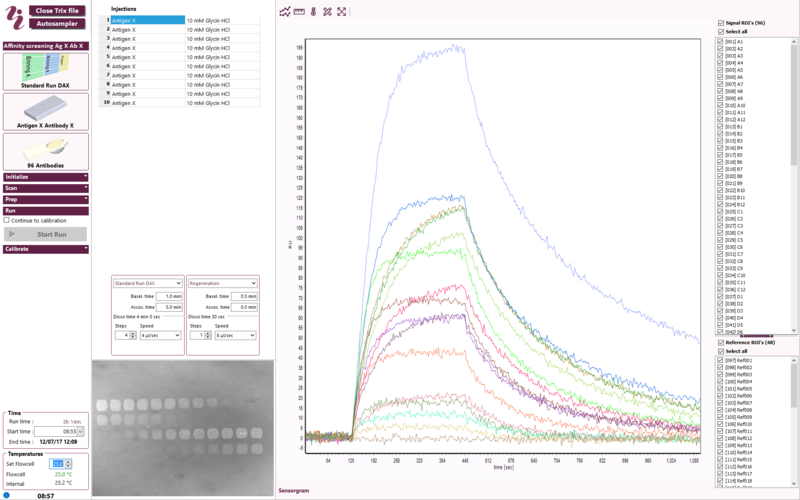 You can now view previous sample injections during a measurement to monitor progress of your experiment. DAX now operates under Windows 10, providing more security and compatibility with your ICT infrastructure. 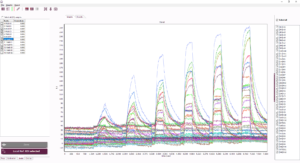 Improved algorithms allow for much faster processing of your SPR experiment. 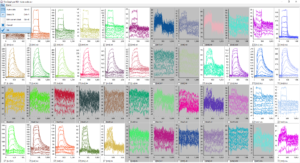 Calibrate, Reference, Align and Zero your data in the blink of an eye. 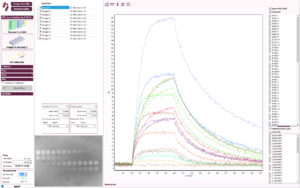 Easily make selections of your analyte injections and ligand spots using convenient tile plots. 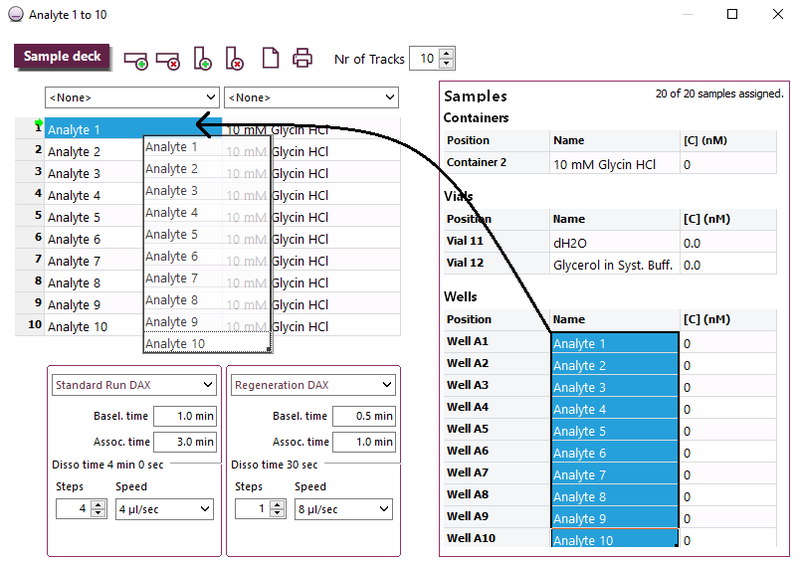 Export your processed data to an IBIS application or any 3rd party analysis tool (Scrubber, EvilFit, Binning Tool). With Windows XP rapidly approaching end-of-life in almost all companies, Sprint now also runs under Windows 10*. *Older versions of Suit, Sprint and DAX will no longer receive updates after this release.